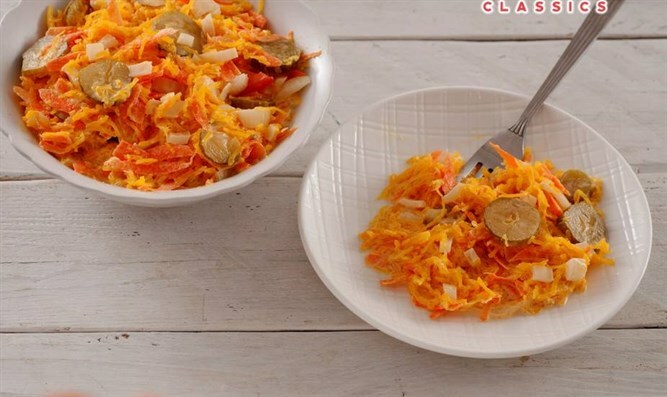 Enjoy your spaghetti squash in a refreshing way with this delicious, easy-to-prepare salad. Cut squash in half. Scoop out seeds. Bake for 45 minutes at 350 degrees Fahrenheit. Can be cooked in water until tender. Remove strands with fork to resemble spaghetti. Combine all ingredients. Mix well. Serve chilled.